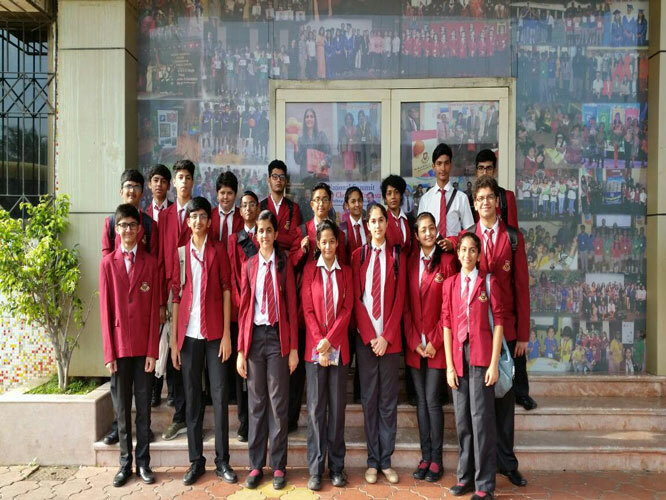 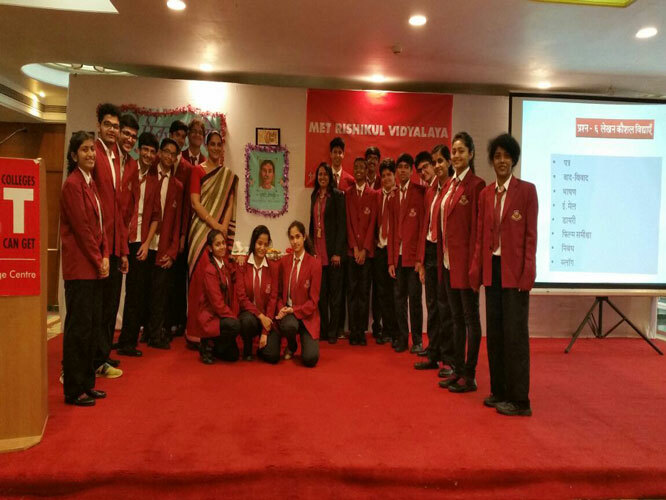 On 14th September the IBDP students of DPGA celebrated Hindi divas through student exchange program at MET Rishi Gurukul School, Bandra. 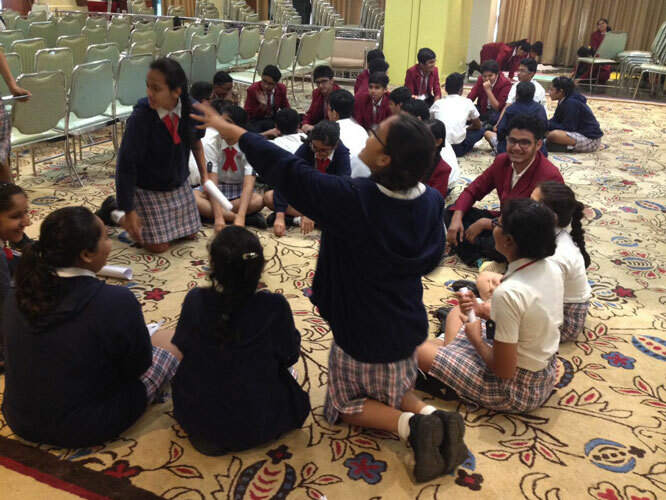 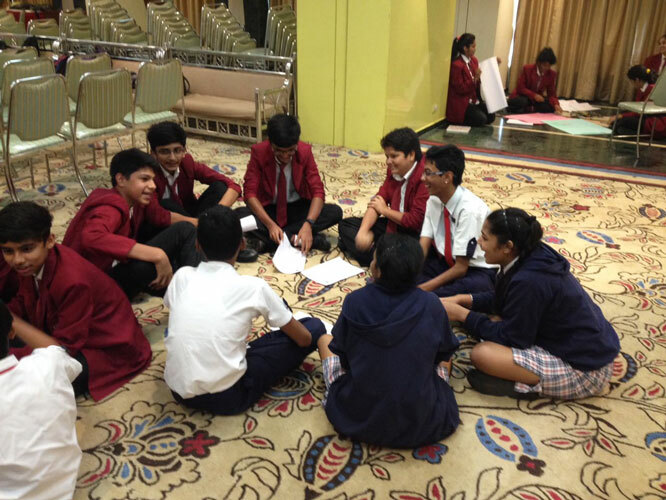 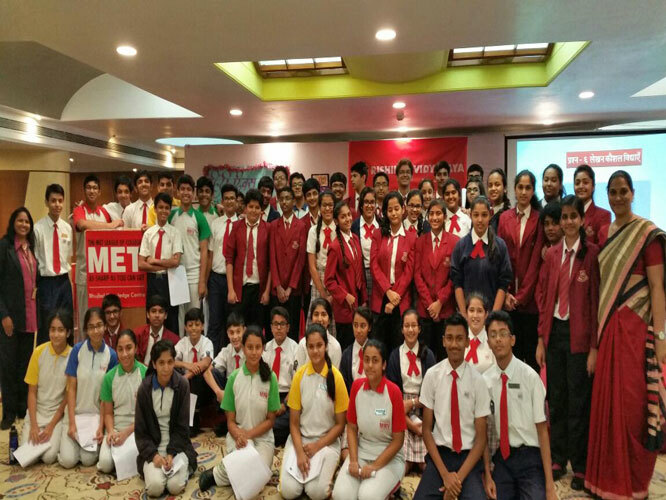 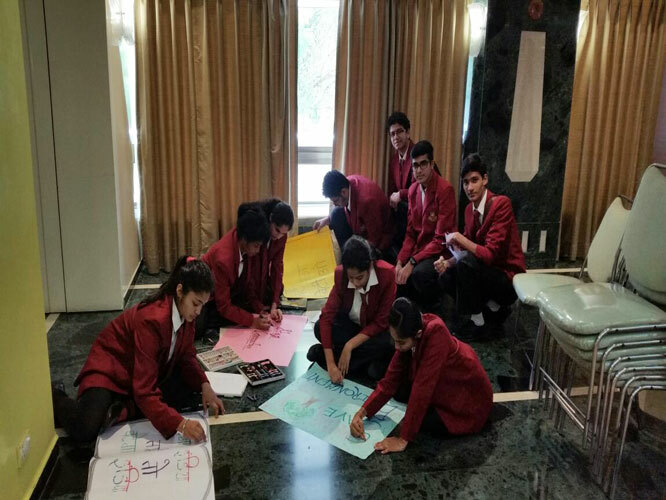 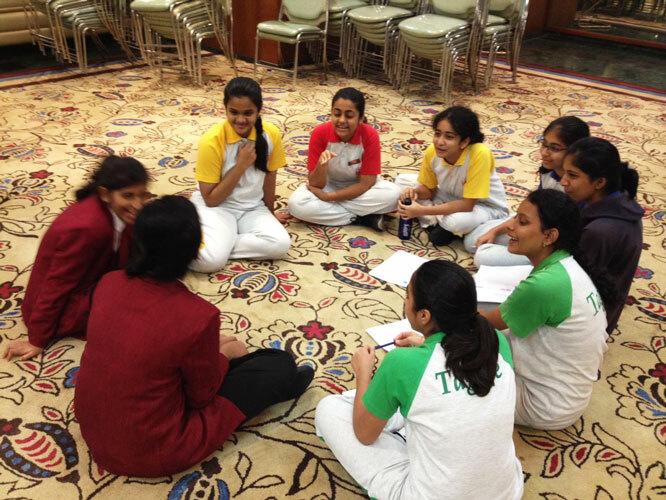 Students of both the schools shared their thoughts on different subject methodology, books and various subjects through group discussion. 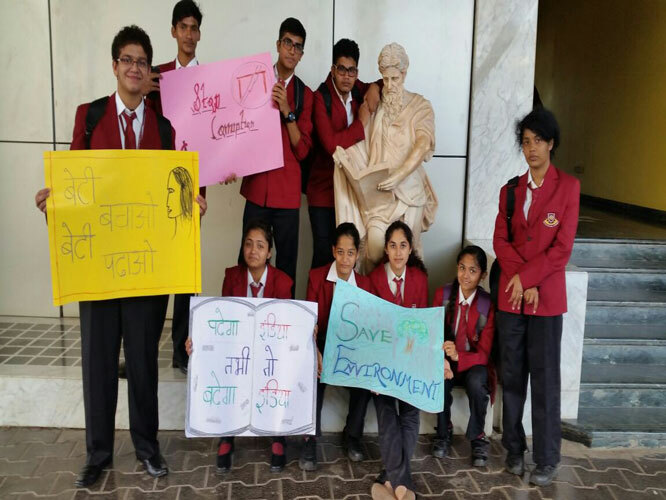 They demonstrated their engagement on various global issues like ‘respect girl child’, ‘abolish female foeticide’, ‘stop corruption’ and ‘save environment’ through charts and slogans.